If you have obstructive sleep apnea, you aren't getting very good sleep. And to make matters worse, you probably aren't just having difficulties because you're not resting while you're in bed. Chances are, you're having to get out of bed multiple times a night too. No, it's not because a frustrated, sleepless spouse is kicking you out of bed due to your snoring (though that may be happening as well!). According to a study recently conducted at the Maastricht University Medical Center in the Netherlands, over two-thirds of patients with obstructive sleep apnea report needing to get up to use the bathroom more than once a night (a condition called nocturia). This is a frustrating problem and is often ranked as the most irritating of all bladder problems. But there's good news. 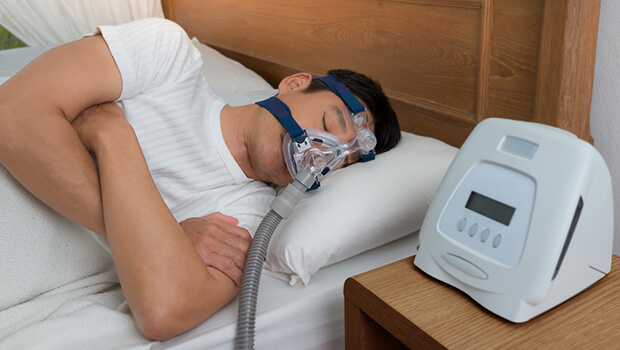 According to this study, treating sleep apnea with a CPAP mask not only helps improve the apnea, it can reduce nocturia as well. In fact, of the 256 patients who participated in the study, 65% reported a reduction. Of the 77 patients who reported having to urinate twice at night, 32 were able to make it all night without a bathroom trip. This is great news for people dealing with both obstructive sleep apnea and nocturia. I'm always glad when one solution can address two problems at once! Of course, even if you don't have nocturia, you should see a doctor if you suspect you have obstructive sleep apnea, which affects 2-4% of people over 50. It can be a dangerous, even deadly condition, and the cumulative effects of poor sleep on your quality of life are significant. Using a CPAP mask can make a big difference (both for you and for your partner if snoring has been an issue)! A lot of people can't sleep with a mask over their face. There are dental appliances that can help with sleep apnea as well. And they often are more comfortable to wear. So talk to a sleep specialist to see what options you have. If you don't have apnea but are struggling with nocturia, give Advanced Bladder Support a try. 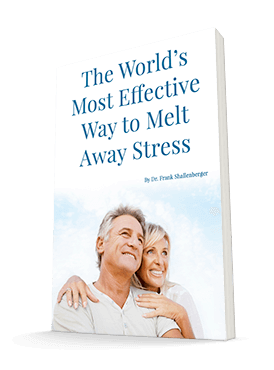 It's helped many people deal with incontinence and frequent urination issues. It's full of nutrients to keep your bladder healthy and functioning properly as you age — one fewer thing to lose sleep over!